How to buy a home with no money utilizing the USDA home loan program in California.  Play video below on how to locate the approved lending areas for this 100% no money down home loan program. The USDA home loan program in California is the prefect loan programs to purchase a home with a buyer that has limited funds for the down payment. The home needs to be designated in the approved lending area by the USDA lending map. Watch the video on how to locate the approved areas that you are looking to purchase a home in. The benefits with the USDA home loan program is that it offers the buyers the opportunity to buy a home with no money down, not limited to first time home buyers. No prepay penalty in paying the loan off earlier, the best part of the program is if the home appraises at a higher amount than the agreed upon purchase price then we can finance your closing in the loan, this is the only purchase loan program you are allowed to do this. So image purchasing a home with no money down and no out of pocket funds for the closing costs. I have assisted many home buyers with the USDA home loan program with very little out of pocket cost, I welcome the opportunity to explore this one of a kind lending program. Call me direct and let's get started on the path of homeownership.